Happy Friday! Happy almost happy hour! Here’s a simply delicious cocktail you need in your life stat…. Pimm’s fans did you know they make this Blackberry & Elderflower variety? It’s sweet & very refreshing. All you need to do to make this cocktail is fill a highball glass with ice. 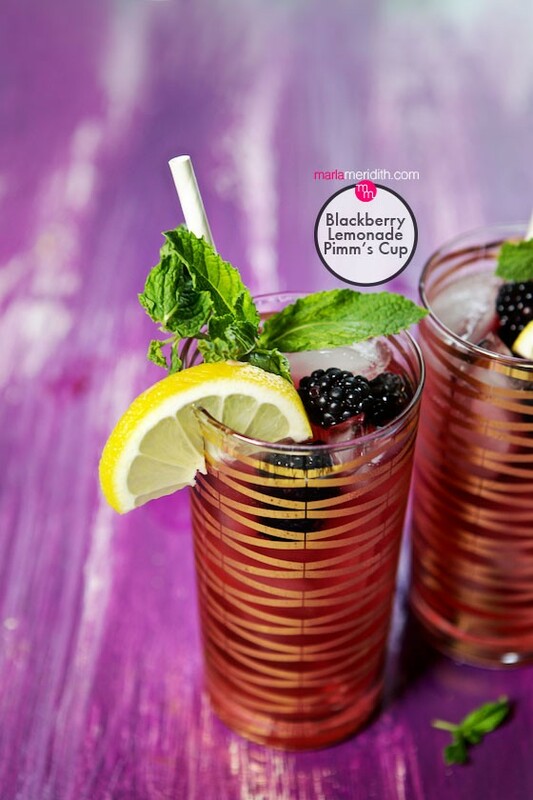 Add the Pimm’s, top with sparkling lemonade and garnish with fresh blackberries, lemon & mint. Hopefully you have lots of fun planned for the weekend. I will be taking my kids to our annual trip to the 4UR Ranch in Creede, Colorado. We are so excited to ride horses, fly fish & pretend like we are rodeo stars! I’ll be sharing photos & videos on Instagram throughout the week so please keep and eye out over there. More Pimm’s Cocktail Recipes to check out! Yep, I’m gonna need a tall glass of this for the weekend! Those fresh blackberries are beautiful! Such a gorgeous drink!! Love the blackberries! These could not sound more delicious! Yes please, those blackberries are gorgeous! !